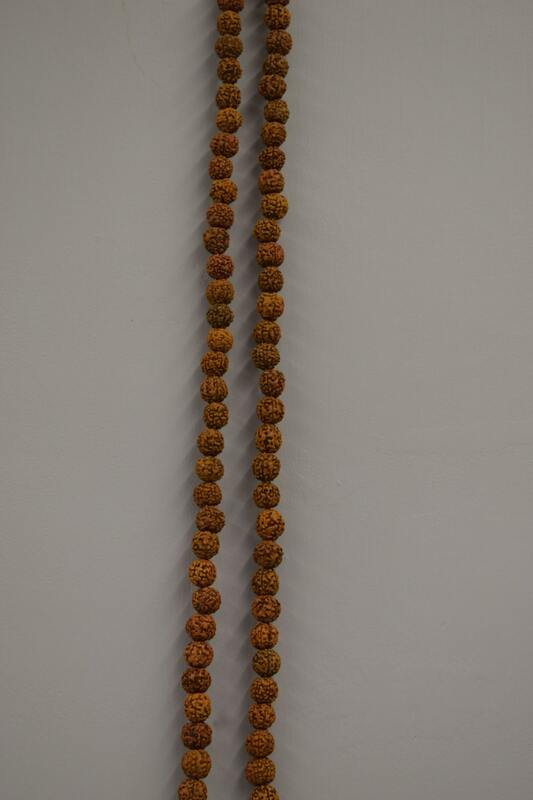 This is a Rudrasksha Nut Mala Necklace from India. 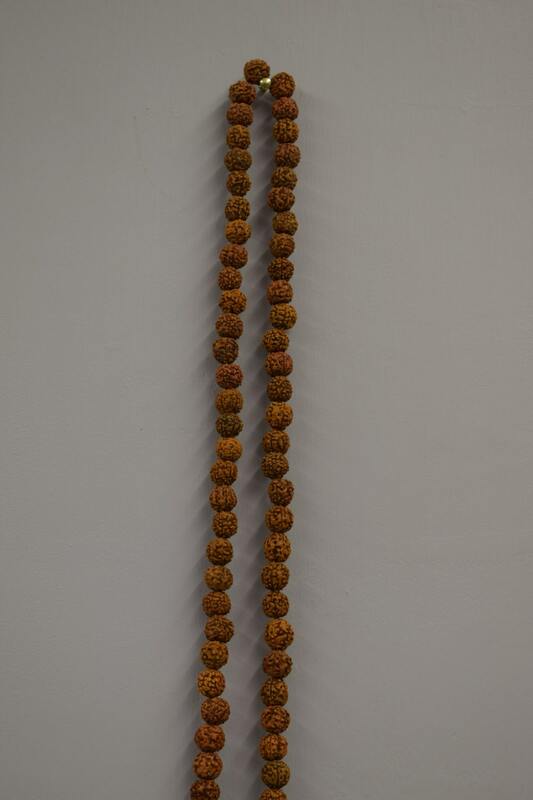 The Rudraksha Nut was first strung into a Mala more than one thousand years ago. Its texture encourages us to contemplate and accept the fact that things do not always go smoothly. 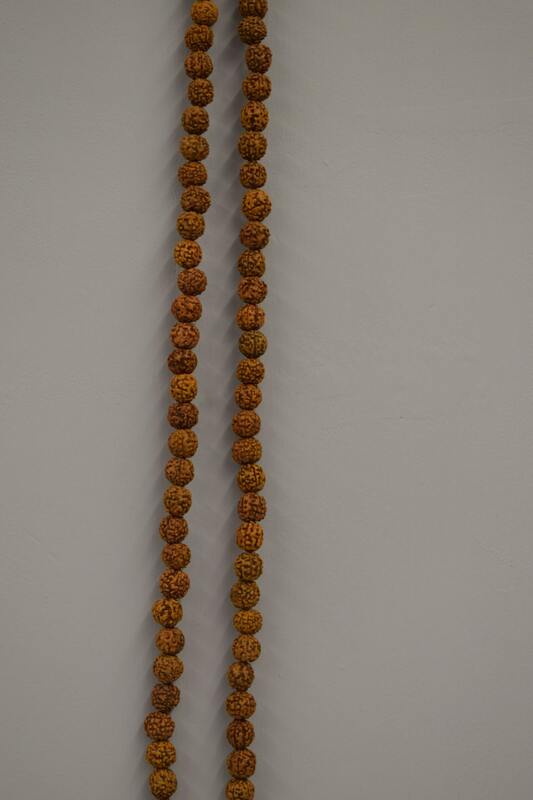 The myth of 108 beads that are on traditional Mala's are the stages of the human soul, while the possibility of enlightenment while taking 108 breaths a day, while deep in mediation. 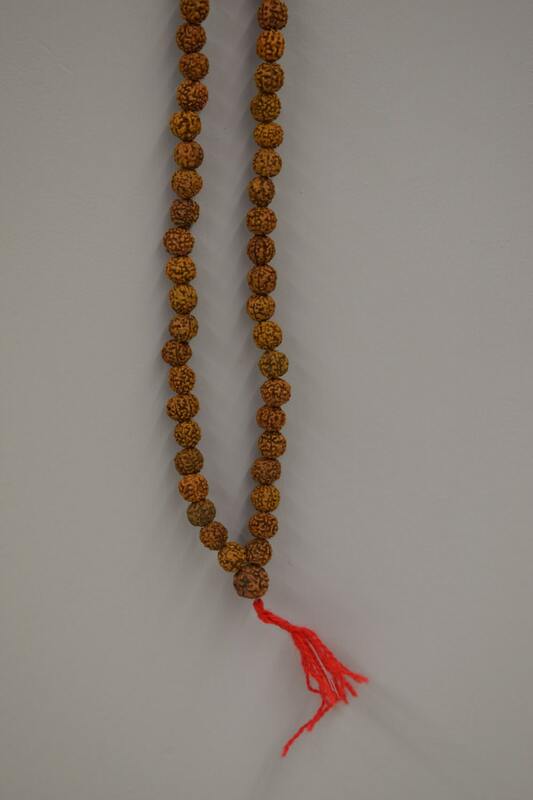 They sometimes call Mala Necklaces a Buddhist Rosary.